Work : To convert provided Graphic Images in 5 different formats using inbuilt software Microsoft Paint. The first step of this management is to scan all the paper documents so that they are made digital images in file formats accessible from any computer platform (such as PDF, JPEG, TIF file). The length and cost of the scanning project greatly depends on the condition of your documents. Uniquesdata is one of the leading companies offering Image Photo Conversion services its esteemed clients. Our brilliantly skilled team enhances the image usability as per your system, software, website or purpose. - Now a days this image to notepad conversion services is having a great demand in the market. Especially data entry companies are having a huge requirement for converting the image files into Notepad. Hi Tech - Info Scan Transfer 500 pages of Text to PC without typing. Your imagination – Our solutionScanning made as easy as highlighting!! Scan those important lines, read them later. Our company has doing massive number of image file formats are available for storing graphical data, and, consequently, there are a number of issues associated with converting from one image format to another, most notably loss of image detail. Well it is easy to type a Handwritten letter/Image in a single file but, when it comes to Large number of Files OCR ITP will be the solution with its Accurate Conversion of Handwritten image to plain text(.txt). Convert to CMYK or RGB. Save a clipped file to a format that suits your needs. Provide image clipping services to any raw file. Keep and/ or enhance all pixels and colors within the file. Image to text conversion services is one of the regular outsourcing project requirements from across the world. 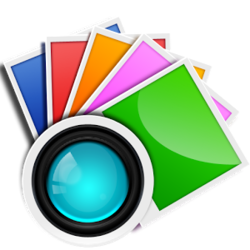 These Images can come in formats like PDF, TIF, TIFF, JPG, JPEG, PNG, PSD etc, that needs to be converted into text format. Final text conversion can be in the form of word, excel etc. DataTree can convert images from one form to the other using in expertise’s in image processing. Tiff to PDF, JPG to PDF, JPG to TIFF etc. We also perform redaction of data on images and OCR the image with hidden text. We offer a full range of graphic/image editing services including image correction, digital image processing, image editing, photo scanning and photo manipulation services.